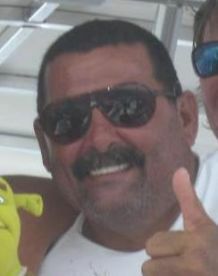 "My father Bobby Sr. came to Costa Rica from the US in the mid-1960s. He established the first charter operation in Golfito. I began fishing with him as a teenager, and I became a full captain when I was 18." Captain Bobby McGuniness has some serious bragging rights under his belt. He was chosen twice as the world's top captain by the prestigious International Game Fish Association, and has set well over 200 IGFA-approved world records. 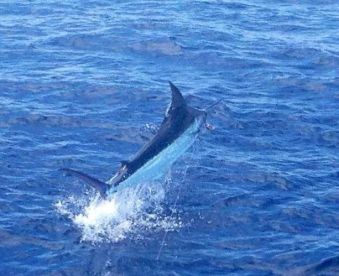 On top of this, his Marlin releases are legendary: on September 14, 2010 he released 28 Blue Marlin, along with 3 Striped Marlin and 4 Sailfish on his 37' Cazador. Come aboard his charter and experience some top-quality angling with a world-class captain! We go mainly for Marlin, trolling with lures and live bait. We booked this boat and Bobby McGinnis purposely because we fished with Bobby before. Our previous experiences were very good as Bobby is an excellent fisherman. Very disappointed this time because Bobby did not show up to captain the trip. He sent his boat and crew. 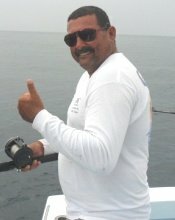 We caught two nice sail fish, however, on past trips we caught many more with Bobby as the the captain. Very disappointed that he did not show up, and we did not get the trip we paid for.